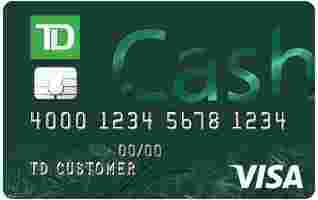 TD Cash Secured Credit Card is typically available to those with poor credit scores (650 or greater). Yes Provide a minimum security deposit of $500. TD ups the ante on the standard secured card formula by offering a solid rewards program on common categories such as purchases for dining and groceries. This is an uncommon perk for secured cards and can help you create healthy spending habits while you rebuild your credit.